OpenSIPI is an open source web-based asset management solution. Via a browser-accessible environment implemented for the entire organisation, it meets the specific requirements of each company department. Open SIPI provides information and immediate reports, and is based on a scalable platform that can be easily integrated with existing systems. The ideal solution for effective management of business premises and property assets, it is particularly suitable for local authorities, hospitals, universities, museums, banks and insurance companies. OpenSIPI uses a fully web-based interface. Tree View and Info View for navigation of spaces and management of summaries and detailed information. Layouts and geo-referenced buildings can be viewed on online map services (OpenStreetMap, RealVista, Esri, etc.). 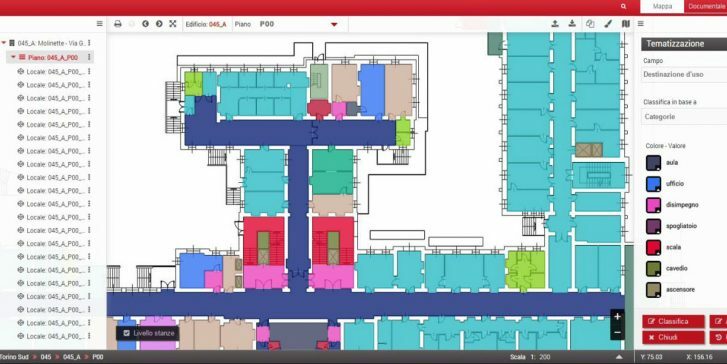 The application also provides advanced printing and full support for the AutoCAD – DWG format.